In September JSE-listed ETFs gave up gains made in the prior month. An equally weighted portfolio of non-commodity JSE-listed ETFs lost 2.87%, with most of the damage emanating from ETFs that derive their constituents locally. International asset ETFs were down marginally by 0.53%. Intellidex’s September selection of seven equally-weighted ETF portfolio lost 1.97% (or 1.66% including cash). The local bourse came under pressure during September, losing a staggering 5.05% on the back of major losses in industrial stocks (down 8.17%) and financials (down 3.14%). The industrial index and JSE top 40 vanilla market-cap based ETFs felt the pain of overexposure to Naspers, which was under pressure given that its main asset, Chinese internet company Tencent, is being hit by negative regulatory developments and suffered its worst growth metrics since it listed in 2004. Poor macroeconomic indicators released during September also weighed down the equities market. Except for Japanese equities, global equities were largely flat during September. The Sygnia/Itrix MSCI Japan ETF gained 3.34%. In September Prime Minster Shinzo Abe – who came into power in 2012 on the promise of massive stimulus to the economy – was re-elected as president of the ruling Liberal Democratic party, putting him on track to become Japan's longest-serving premier. So far Japan has weathered the trade war storm reasonably well and posted economic growth of 3% in the second quarter, its strongest growth in two years. The international equities offering of the JSE has been expanding. It started off with broad-based themes but has expanded into property funds and, more interestingly, technology funds. Again, our first priority is a broad-based fund. However, technology is a theme that is lacking in our local funds, and given its ever-increasing role in our lives, South African investors ought to gain increased exposure in technology funds to complete their portfolios and enhance sector diversification. Our preferred choice in the international ETF category is the Satrix MSCI World Equity Feeder ETF. It edged up 0.57% in September. The Satrix MSCI fund has exposure to the developed markets of the US, Europe, Japan, Canada and Australia. The choice in this segment is limited to two funds: Satrix MSCI Emerging Markets (down 1.82% in July) and the Cloud Atlas AMI Big50 (down 5.84% in July). 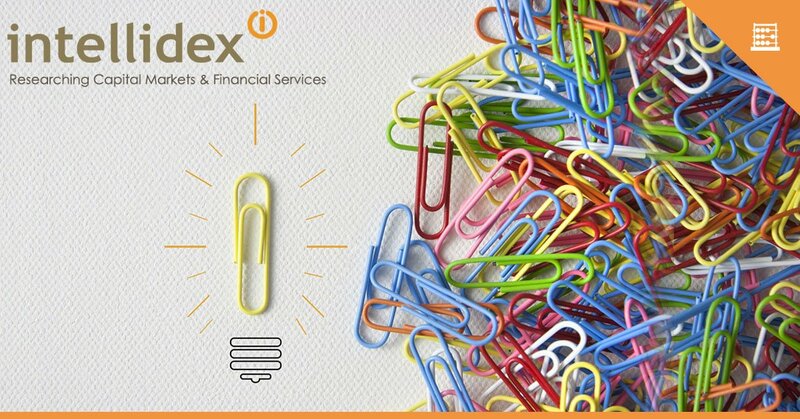 Our choice for Satrix MSCI Emerging Markets is still motivated by its diversification. It provides exposure to high-growth economies such as China and India, which are not included in any of the developed market funds, thus offering further diversification. The Satrix ETF, with a TER of 0.4%, tracks the MSCI Emerging Markets Investable Markets index, which captures companies across 23 countries. It's closest competition in this category, the Cloud Atlas AMI Big50 fund, with an African focus, has a higher TER of 0.75%. The CoreShares Equally Weighted Top 40 ETF is better diversified than most of its top 40 peers, which are concentrated in a few large counters. For instance, Naspers, which accounts for more than a fifth of the top 40 index, pulled back significantly during September which had a pronounced adverse effect on market-cap weighted top 40 funds. The CoreShares Equally Weighted Top 40 ETF overcomes this by investing equally in all 40 constituents. The fund declined 6.78% during September. NewFunds TRACI 3 Month - it a natural choice because it is least sensitive to sudden adverse interest rate movements (up 0.54% in September). It is similar to earning interest on your cash at the bank with a minimal possibility of capital loss. Satrix ILBI ETF - for a longer investment horizon, protecting your investment against inflation is paramount (up 0.73% in Spetember). which offers the lowest expense ratio in this category. Furthermore, nominal bonds add a unique risk-return dimension that differs from inflation-linked bonds and improves overall portfolio performance. Bonds and cash are good additions to portfolios not only because of their diversification qualities but also for their ability to enhance returns. We think investors can choose any between Stanlib Global Bond ETF (down 1.59% in September) or Ashburton World Government Bond ETF (down 1.17% in September). They track investment-grade sovereign bonds mostly issued by the US, UK Japan, and selected European countries. Their TERs differ by just 0.05 percentage points with the Stanlib Global Bond ETF being the cheapest. If you rely on your investment income for day-to-day expenses you may want to allocate a portion of your portfolio to ETFs that have a high distribution ratio. Naturally, Satrix Dividend Plus and CoreShares S&P South Africa Dividend Aristocrats come to mind here, but similarly, property funds are high dividend payers. There are two investable property indices available: SA listed property and the capped property index. 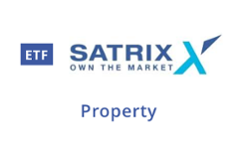 We maintain our choice of the capped fund Satrix Property ETF (down 2.54% in September). It has a dividend yield of 6.35% and its TER is expected to be the lowest in the segment. However, investors can also consider foreign property ETFs. The Sygnia Itrix Global Property ETF (down 2.9% in September), with a TER of 0.25%, is by far the cheapest of the three. Mapps Protect is more conservative, suitable for conservative, usually older, savers. Mapps Growth suits investors with a long-term horizon. They declined 3.45% and 6.63% respectively in September.